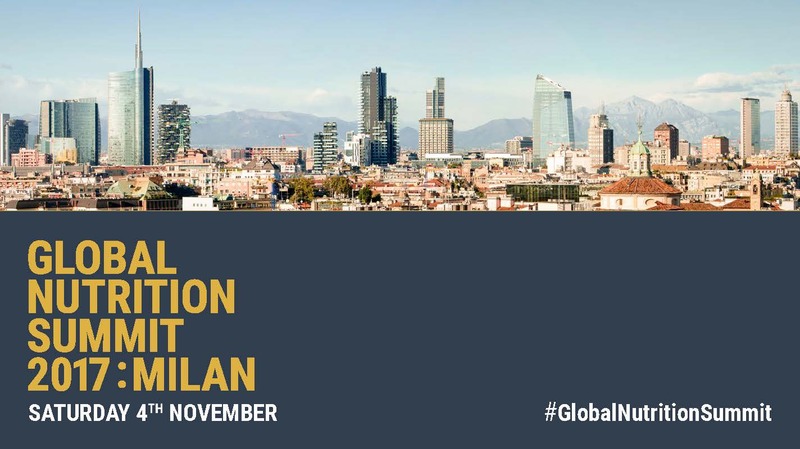 On 4 November 2017, Milan (Italy) hosted a high-level event on nutrition and food for healthier futures in the margins of the G7 meetings: The Global Nutrition Summit 2017. 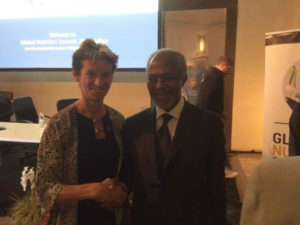 Over 250 stakeholders including governments, cities, international agencies, foundations, civil society organisations and businesses convened to accelerate the global response to malnutrition. As part of the UN Decade of Action on Nutrition (2016–25), the Summit built on a series of past efforts and events – taking stock of nutrition commitments made to date, celebrating progress toward global goals on nutrition, and announcing additional commitments to accelerate the global response to end malnutrition in all its forms. 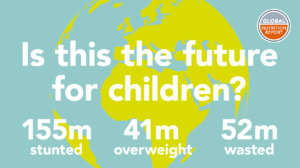 The summit built on the first major global pledging event for nutrition, which took place in London in 2013, and resulted in commitments to expand the reach of nutrition interventions in the first 1,000 days between a woman’s pregnancy and her child’s second birthday. International NGOs and the World Bank extended and increased those 2013 commitments with pledges to spend USD 1.1 billion and USD 1.7 billion respectively on nutrition by 2020. This year’s summit in Milan, Italy, saw USD 3.4 billion pledged to support nutrition, USD 640 million of which were new commitments. USD 100 million over five years from the Aliko Dangote Foundation, the philanthropic organisation of Aliko Dangote, founder and Executive Chairman of the Nigerian Dangote group, Africa’s largest homegrown conglomerate, to reduce the prevalence of undernutrition by 60 percent in targeted areas of Nigeria. USD 33 million in 2017 from King Philanthropies, a U.S. based family philanthropy. The summit was the platform for the launch of the 2017 Global Nutrition Report (GNR2017). This independently produced annual report takes stock of countries’ progress towards nutrition-related Sustainable Development Goals, World Health Assembly Maternal Infant and Young Child targets and diet-related Non-Communicable Diseases targets, as well as tracking delivery of donor and country commitments. 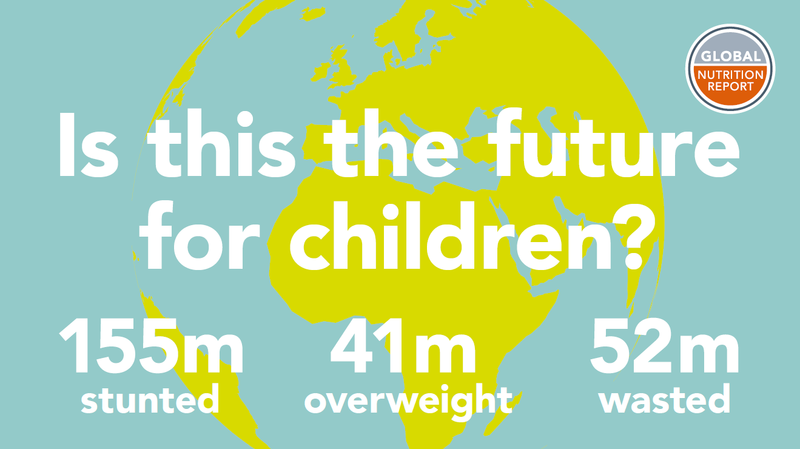 The GNR2017, showed that, in spite of progress,155 million children globally are still stunted – they are too short for their age often due to lack of nutrients, impacting their physical and cognitive development – and the world is off track on meeting internationally agreed nutrition targets. Financing to tackle malnutrition has been alarmingly low. Donors spend less than 1 percent of overseas aid on nutrition, and countries allocate between one and two percent of their health budgets to the issue.